Welcome! In Afikpo, we also say Jookwa to welcome guests, greet neighbors and commend someone for a job well done. If you’ve never been to Afikpo, get ready to discover . 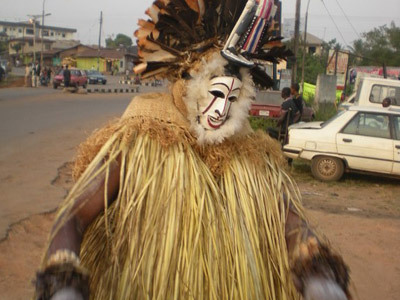 . .
Afikpo is home to some of the best traditional dance groups in Africa. Among these are the award winning Nkwa Umuagbogho Dance Group . 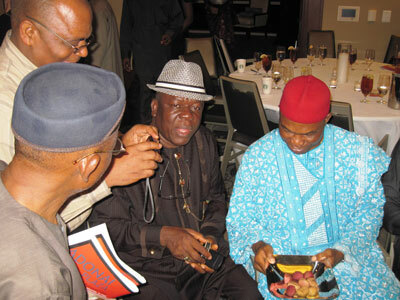 . .
Afikpo masks are renowned worldwide. In fact, “Afikpo mask” is a distinctive form of art displayed in art galleries and popular with art collectors . . . The legendary African hospitality is alive and well in Afikpo. Here, it is still considered rude to pass neighbors on the street without saying hello . . . Whether you choose to stay in a hotel, apartment or private home, housing is relatively cheap in Afikpo. For less than N5,000 ($35), you can . . . Delicious and affordable food awaits you in Afikpo. Food is cheap because there are plenty of farmers and foodstuff. The abundance of food . . .
Afikpo is a low stress town. The pace of life is not as hectic as it is in the big cities. Here is a place you can come to relax and unwind. Test your . . . There are lots of events happening year round in Afikpo. And most of it is FREE to attend! This includes festivals, anniversaries, wrestling . . .
For those looking for a little more adventure and willing to assume the risk, here are some suggestions to consider: Take a boat trip along the Cross. 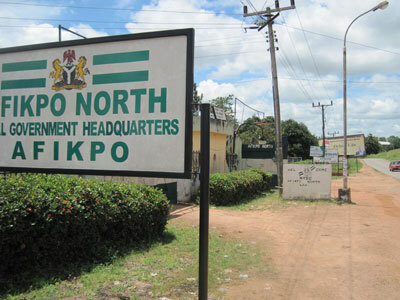 . .
Don’t just visit Afikpo for leisure; there are trade and investment opportunities you should consider as well. With a Federal Polytechnic . . .
Umunkwo is an all-male traditional dance group from Amankwo village in Afikpo. The group’s spirited drumming and energetic dance style sets it apart. The star dancer is adorned in an attire reminiscent of a warrior-dancer celebrating his success in war and demonstrating his athletic and dance skills. This video from TED Talks features Chris Abani, a Nigerian-British citizen born and raised in Afikpo and resident in the United Kingdom. In this video, Chris shares his thoughts on life, including his experience growing up as a boy in Afikpo. On account of his exemplary public service record at the local, national and international levels and his pioneering role as the first Governor the Eastern Region, Sir Francis Akanu Ibiam merits the distinction of a pace setter. As the first federal minister from Afikpo since the dawn of the 3rd Republic, in addition to his distinguished professional and personal background, status as a role model and a source of pride for Afikpo people, Prof. Onyebuchi Chukwu merits our distinction as a pace setter. Our roving camera caught this man (a baker) preparing meat pie at Ndibe Beach Hotel, Afikpo. The meat pie is one of the snacks served to guests of the hotel. Yummmy!!! Tidbit: Ndibe Beach Hotel is one of several hotels in Afikpo. The hotel is located near Ndibe Beach, from which it derives its name. Copyright © 2019 afikpoonline.com. All Rights Reserved.